29 days. 29 awesome prizes… Now that’s a great way to kick off 2019! To celebrate its 1st birthday, popular shopping app Nisnass is giving you the chance to win daily prizes until January 29th. 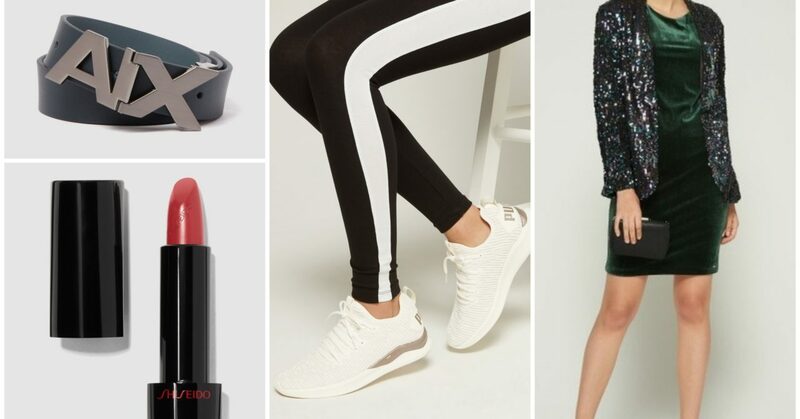 From stylish sneakers for gents to the ultimate beauty giveaways, Nisnass is starting the year on the right note with daily competitions, vouchers, must-have goodies and more! Who’s ready to celebrate #29daysofNisnass?! WIN daily prizes with Nisnass this January! Up your footwear game with a funky pair of sneakers. Spritz your way to scented heaven with the latest fragrances. Style up your workout gear with trendy active wear. Rock that winter look with a chic jacket. Add an elegant touch to your dinner table with a new dining set. Glam up with the latest makeup must-haves and enjoy a selection of beauty giveaways. Shake up your outfits with some statement accessories. Bag those items on your wish list and win Nisnass vouchers! Participating brands include Puma, Nike, Versace, Bvlgari, Tommy Hilfiger and Armani Exchange. Nisnass… an app you need on your phone! Two-hour delivery within Dubai… for those last-minute shopping sprees. Visual search function… lets you upload an image from your photo library and shows you the best style matches. Voice search feature… shows you relevant items based on a voice command. Free returns for up to 30 days… with no questions asked! Dear Nisnass, can it be your birthday every day?! Tune in to Nisnass on Instagram for #29daysofNisnass and 29 days of awesome prizes! previousDubai Festival City Mall is Giving Away FOUR Lexus UX 200 Cars this DSF!